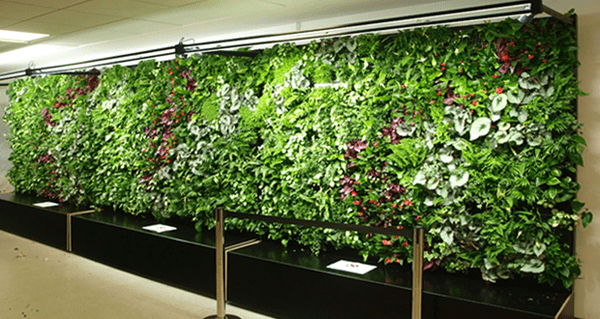 A supplier of green walls, UK-based firm Biotecture has a patent for hydroponic modular living wall systems on basalt substrate. The vertical garden has been installed at Gate 25, Terminal 3 and was called the Garden Gate. Travellers flying from this terminal (about 290 thousand people yearly) can enjoy living walls of almost 1,700 plants. Sustainable technology creates a natural sanctuary of rest and relaxation. Live plants refresh and purify the air, reduce the levels of noise and dust and de-stress people before flights. The Garden Gate is created with seven 1.8m high x 2.4m wide green walls, each with 240 plants grown on basalt substrate mats manufactured by Grodan. Each wall is irrigated with the aid of nutrients enriched water supply system and consumes about one liter per square meter a day. LED lighting system allows for a necessary level of lighting for the plants. Basalt substrate is resistant to decay and due to excellent biological stability, aeration and drainage properties prevents fungi from growing and nutrients from stagnating but allows the roots to “breathe”. In six months, if the trial proves successful, Heathrow Airport will look to install more Garden Walls. Biotecture implements the projects of modular living wall systems not only in the UK, the firm has partnered with companies from Scandinavia, continental Europe, North America and the Middle East where vertical gardens have become especially popular because of the hot climate. Biotecture has an impressive portfolio with various “green walls” to install indoor and outdoor, on the walls of different buildings and structures, greening up urban landscapes of “stone jungle” and improving air and psychological state of city dwellers. 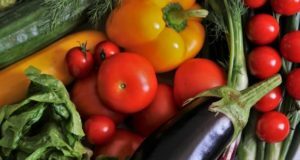 Russian Yakutia started to grow vegetables on hydroponic basalt substrate and this experience is now being applied in Lipetsk greenhouse complex. 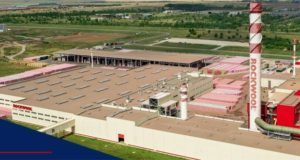 The facility for the manufacture of basalt substrate and basalt insulation is under construction in the Kuban.